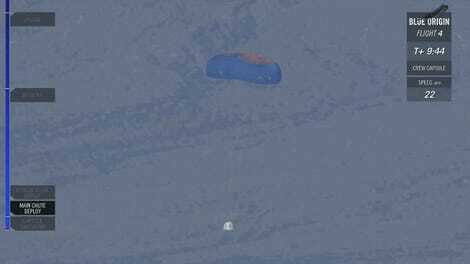 Blue Origin is adding a new re-usable rocket to its stable—and it’s a big one. Meet the New Glenn, a 23-foot diameter rocket booster with 3.85 million pounds of thrust. 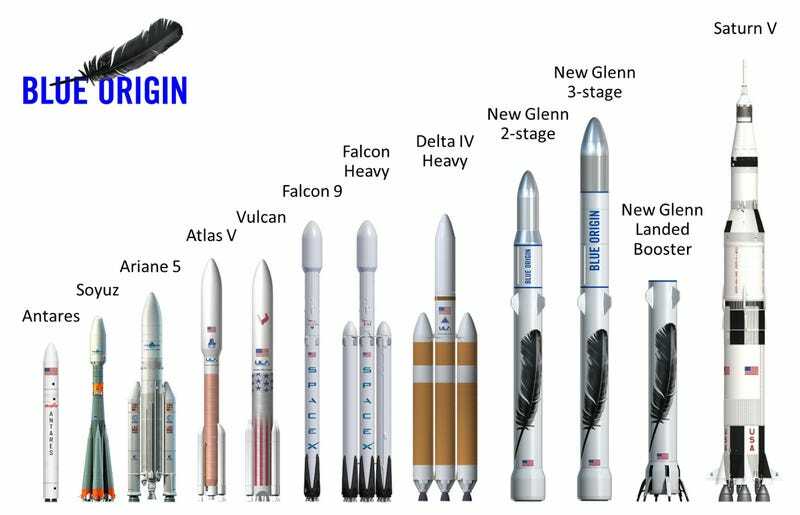 Company founder Jeff Bezos announced the new rocket model today, along with a graphic comparing it to some other heavy rockets. The New Glenn crests to 313 feet tall in its three-stage version—just below the world’s tallest rocket the 363-foot Saturn V.
Although it’s the tallest (except for the now-defunct Saturn V) it won’t necessarily be the most powerful. SpaceX’s forthcoming Falcon Heavy is supposed to be able to generate 5 million pounds of thrust to New Glenn’s 3.85 million. Saturn V was able to generate over 7 million pounds. Still, this is an incredibly powerful rocket that signals some deeper space ambitions from the company. “The 3-stage variant—with its high specific impulse hydrogen upper stage—is capable of flying demanding beyond-LEO missions,” Bezos noted. The rocket is named for astronaut John Glenn and Blue Origin expects it to fly by the end of the decade. They also released the name of another upcoming rocket series, New Armstrong, although no details on that have yet come out.